Django Wexler's The Thousand Names was one of my favorite books of 2013. It struck me as an unusually tight, character-based fantasy novel that mined its early modern source material effectively, while featuring some of the best battle sequences this side of the Blackwater. And it's a book that has, over time, grown in my estimation. So if you haven't read it, stop reading, go to your favorite store (or digital store) and get a copy. Then start reading this review again when you're done--I wouldn't want to spoil the fun for you, after all. The Shadow Throne leaves the campaign trail for the messier world of political upheaval. Captain Marcus d"Ivoire and Lieutenant Winter Ihrenglass accompany the mercurial Colonel Janus bet Vhalnich on a fast ship to the Vordanai capital, where the king's death is imminent. His daughter, Raesinia Orboan, is widely viewed as weak, and Janus fears she will fall under the spell of Duke Orlanko, head of Vordan's feared secret police. As we found out toward the end of The Thousand Names, Orlanko is in league with the Sworn Church and its demon-carriers. Making matters worse, he has used instruments at his disposal to house one of the magical-ability granting demons within the princess herself--a secret that, if let out, would destroy her. But Janus also knows this, and is determined to stop Orlanko's power play at all costs. Raesenia, meanwhile, is not the weak-willed pawn everyone seems to assume she is. Her inner demon has granted her the power of physical regeneration, which she uses to escape the palace by night (along with a super spy sidekick, of course). From there she assumes the identity of a student radical and leads a cabal of agitators in a bid to create a counterweight to Orlanko. While the political opposition grows in power and popularity, a parallel set of developments emerge on the docks, where the lower classes are organizing behind "Mad Jane," a charismatic leader taking a stand against the oppressive practice of tax farming, i.e. the giving out of taxation permits to foreign agents from neighboring Borel (so that Orlanko and the crown can pay off their debts without dipping into state treasures). These two budding opposition movements--one bourgeois and intellectual, the other proletarian and tough--come together on one fateful night, after which nothing will be the same. If this feels like a departure from The Thousand Names, that's because it is. And, to be honest, there were moments when I missed the set-piece battles and fighting person camaraderie that made the first book such a winner. Particularly at the beginning, The Shadow Throne shows symptoms of "bridging chapter syndrome." Pacing is an issue early on, while several plot devices that are telegraphed as "very important" early on disappear as the book progresses (though one or two promise to return in book three). These are things I normally complain about, but here's the thing--ultimately they don't matter. Why? Because whatever faults this sequel has, they are more than compensated for by the things it does well. And not just well, but uniquely well. Wexler has created a political environment largely based on Europe's modern-era revolutions. The greatest echo is of the French, but there are shades of the Russian and English in there, as well as of the failed revolutions of 1848. As someone who has read widely on the historical source material, I was happy to see that, while Wexler takes understandable liberties with history (this is fiction, after all, and fantasy fiction at that), he keeps things messy in the way this kind of setting should be messy. 1789 was, after all, the moment when representative government changed from a theoretical abstraction or "that thing the Americans are struggling to build way over there," to "that thing everyone will eventually want for themselves." And it's the birth moment of nationalism* too, that point after which subjects became citizens, states were reframed as birthrights and "birthright" cleft of its rigid caste privileges and given over to "the people." These birthing processes were messy and often very ugly; Wexler edits some of the ugliest bits out, but leaves most intact. Possibly coming in the next volume. And Wexler gets extra kudos for not eliding the questions of class that emerged alongside this transformation. The student-led uprising, which seeks to re-establish the Deputies-General (re: a more parliamentary version of the French Estates General), is a deeply fragmented but ultimately bourgeois-intellectual movement. While it seeks to assert the "authority of the people" over the monarchy and nobility, it also defines "the interests of the people" in decidedly bourgeois terms, and treats the proletarian dockworkers movement, which aligns behind the noble Vhalnich, with deep trepidation. 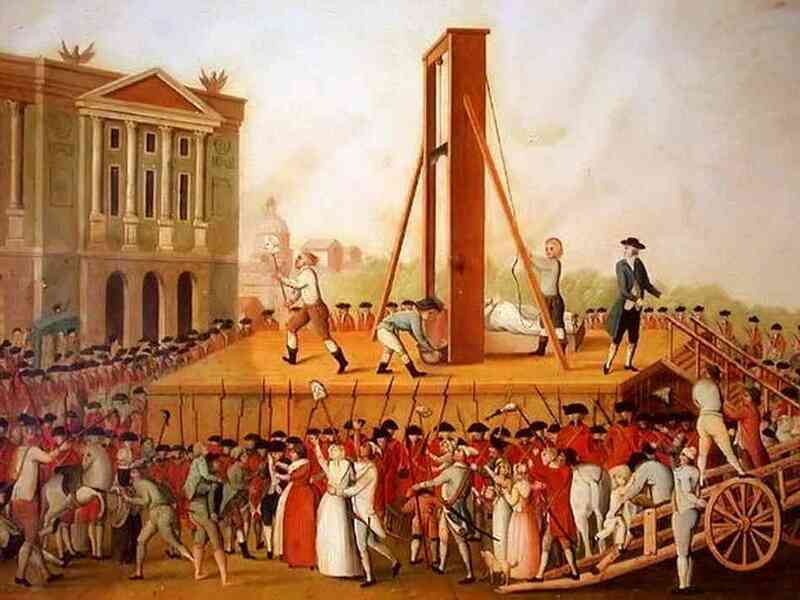 In French history, this rift fed into the generations-long seesaw between bourgeois republicans and the commoners aligned behind the Bonaparte family. Similar dynamics, Wexler suggests, may rear their head later in the series. There are a number of other things I greatly appreciated about this book, not least of which is the writing itself. As in The Thousand Names, Wexler's prose is neat and unpretentious, satisfied to settle into the background, where complex character construction and thematic elucidation take place. I also enjoyed the fact that, outside Orlanko, there aren't really any "villains"--just competing interests and flawed decisions. It's hard to make that work, but Wexler does it well. I did, however, want to see more of Orlanko himself. We are told he's hated and feared, but we don't ever really get to see it in action. Though the few scenes he's in do tantalize with potential, he's mostly relegated to the background, and I guess I'm just saying I wish there was a little more foregrounding of his character. Janus presents a different problem. He's a memorable and well-developed character--the high achieving savant whose methods are as opaque as his motives. At the same time, he's a bit too clever, like MacGuyver but with strategy instead of ordinary household items. These are fairly minor issues, though. 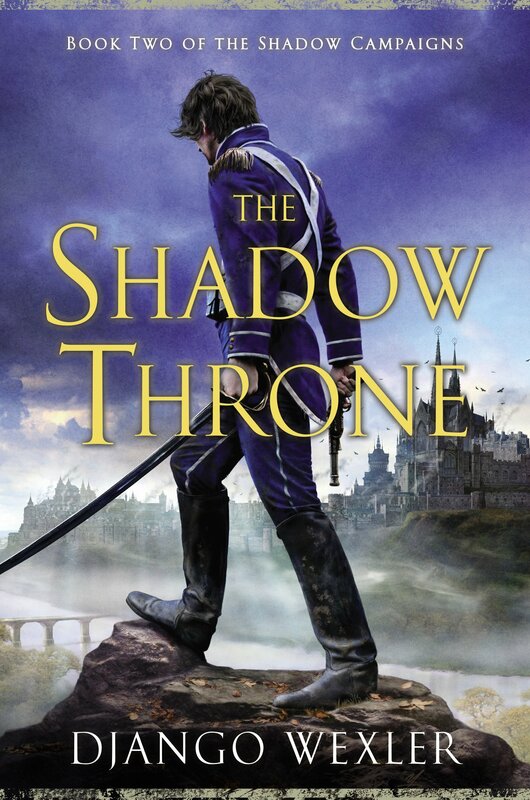 All in all, The Shadow Throne is an inventive, exciting and fun fantasy novel that can be read as a straight adventure but has additional value for history buffs and those who want deeper politics in their fantasy novels. Oh, and if you were hoping for more of Wexler's super well-rendered battles? There just so happens to be a real doozy at the end. Now, when does book three come out? *Patriotism and ethnocentrism existed before 1789, but nationalism is a distinctly modern phenomenon born of the French Revolution. Bonuses: +1 for utilizing a historian's view of politics (i.e. it's messy); +1 for the subtle and effective class narrative. Penalties: -1 for moar Orlanko plz; -1 for plotting/pacing issues early on.